Isobar > The Squeeze >Events>Is it critical? Yes. Unequivocally, Yes. Is it critical? Yes. Unequivocally, Yes. The second day of Advertising Week had a lot of focus on diversity, inclusion, uniqueness and controversy. 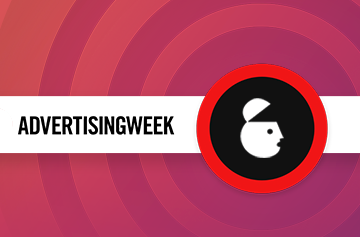 The second day of Advertising Week had a lot of focus on diversity, inclusion, uniqueness and controversy. While these things may not immediately seem to go together, in my head they all fit. Starting the day at the BB King Lounge, Kat Gordon, founder and CEO of the 3% Movement, led a discussion on turning a diversity crisis into awareness and, eventually, strength. 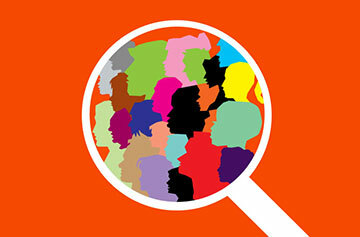 Consultant, Terry Simmons, discussed the three most common blindspots with regard to diversity inclusion: 1. Neutrality; 2. Thinking there isn’t a problem and 3. Budget. He finds that many management teams take a neutral attitude toward these issues which doesn’t do anyone, any good – it is essential to be proactive. Survey results commonly turn up misleading positive results – i.e. people confirming that they feel as though they’re not treated unfairly. Once again, not good enough. And, of course, when budget cuts come around, D&I constantly finds itself on the chopping block when, in fact, it should be a top priority. Taking an honest look at these blindspots will allow management teams to better understand the true state of their diversity and inclusion efforts. Next up? Unique agency culture. How do you do it and how do you keep it? Agency culture is easily one of the most over-discussed topics at industry events but, here we are again. While of course many of the points are repetitive and, honestly, unoriginal, the one point that stood out, and is worth reemphasizing, is the notion of staying true to your values. Don’t take work just because its work. It’s simply not enough of a reason. To have a company that employees respect, it is essential that management make the tough decisions to pass on business that doesn’t match up with core values. People want to work for a company they believe in. Compromising core values for money is a sure-fire way to lose respect and ultimately talent. And the last seemingly unconnected panel? Brands taking a stance…sometimes a controversial one. Whether you want to talk about it or not, you cannot avoid the fact that we are in a politically polarizing “state of affairs.” In fact, when the audience was asked to raise their hand if they felt this way, there was not a limp arm in the room. But the real question here is whether or not brands should get involved – another unanimous “yes” vote from the audience here. Chris Philalithes, Chief Digital Officer at (RED) summed it up nicely: “Sitting on the sidelines is no longer an option for brands. People will reward the brands that do good and punish the ones that don’t.” It’s as simple as that – people no longer just want a “product” from brands, the want a brand they can get behind. Of course, people also like when brands make it a bit easier on them and present them with the opportunity to take action, added Jordan Hewson, Founder & CEO of Speakable. If these things haven’t linked up in your head the way they did in mine, there’s a good chance that won’t happen by the time the piece wraps up, but I’ll give it a shot either way. Making diversity & inclusion a priority is mandatory. It’s no longer an option and, to be clear, it hasn’t been an option for a while. But, if you are missing some blindspots, you need to address those yesterday. Staying true to your values is essential. Join the conversation and take action. Doing nothing is no longer good enough – even if it may be a bit controversial, don’t be afraid to take a stance. To sum up day two, in the words of (RED)’s CDO, be true, be in it & be interested. Lauren Santemma shares her thoughts on the idea of "creative health" and how to get past our creative blocks. Coverage from our sessions at this year's AWNY. Our take on the AI conversation at AWNY.